Devonshire Mall is the premier shopping destination in Windsor/Essex County – and has been for more than 40 years. Devonshire’s brand is well established in the market, and has grown to be referred to as “The Mall” in this region. HCA Mindbox designed a fresh and innovative creative platform and new brand focus that redefined and strengthened Devonshire’s relationship with their customers. We tailored the program and its delivery methods to reflect Devonshire’s need to participate fully with online and social media outreach. The We Know You creative platform, still in use today, underscores that relationship with a fun, playful attitude that is inclusive of all shopper demographics and applicable across all communication vehicles. This signature reinforces the longevity of Devonshire’s relationship with the families in the market, and identifies “The Mall” as the place that knows them best and that delivers the community destination they need. Launched with an interactive – and anonymous – teaser campaign, We Know You decals appeared on park benches, playground equipment, billboards, bus boards, restaurant tables, gym mirrors and floors all across the area. The decals sent viewers to a playful website that invited visitors to photograph themselves with the iconic decals, and upload their photos for a chance to win cash prizes. We partnered with local businesses, schools and community Parks Departments to post the decals in locations around the area, and posted these locations on an interactive map within the site that featured photos and links to each of the partners. Traffic to the We Know You promotional microsite increased daily resulting in more than 2,400 unique website visits. More than 150 photo entries were submitted including many that were staged and shot within the centre itself. The We Know You platform has been incorporated into all internal and external marketing communications efforts. The unique launch of the We Know You branding statement garnered Devonshire Mall a Gold Maple Leaf award from the International Council of Shopping Centres (Canada).  Copyright © 2013 HCA Mindbox. All rights reserved.